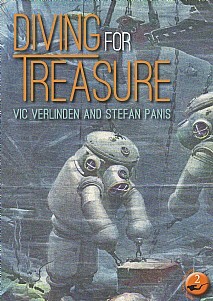 This book recounts the efforts over many years to dive wrecks that contained treasure in one form or another. The often prolonged and sometimes dangerous expeditions tell of dives to many ships that were wrecked while carrying tons of gold or other valuables. Many of the wrecks came to lie at great depths which demanded considerable diving expertise using rebreathers which allowed longer dives to be performed. The authors are both diving experts and in addition to the accounts and historical pictures they have added their own photography to convey to the reader the challenges of the dives undertaken. The technical demands were considerable, from adjusting the camera housing to accommodate the depth to diving at particular times of the year because many of the wrecks were situated in areas of high seas and extreme currents. Many of these wrecks have been the subject of concerted efforts from salvage teams but success could never be assumed. This book will be of great interest to all divers whether active or armchair, and to anyone with an interest in maritime/military history.